For those who expect more than WhatsApp and Messenger from their Android device, it is must to root their device, and get complete access to the different sectors of the Android environment. Quite ironically, almost all Smartphone manufacturers restrict root access in their devices, as to keep their brand name and bloatware. Rooting offers lots of capabilities, such as the advanced customizability, bloatware removal and performance upgrades like over-clocking. If you have a rooted device, you also have some other options such as the one to install customized ROMs and to get rid of the control of Google. Yet another advantage of rooting your Android device! There is a huge collection of apps for rooted Android phones. So, once you have finished the rooting process, it’s more about picking up the right apps so that you can get the best out of your Android-running Smartphone or tablet PC. 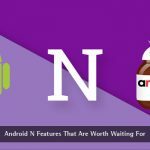 In this article, we are here with a list of 10 must-have apps for rooted Android phones — shall we start? SuperSU is one of the must-install apps for rooted Android phones, as to make sure that root access of your device is not being misused by third-party apps. Often, when you flash a custom recovery, SuperSU is installed automatically. If it is not, you can download this lightweight application from Google Play Store. The best feature of SuperSU is that you can get notified if one app requires root access; you can get logs about the superuser access. 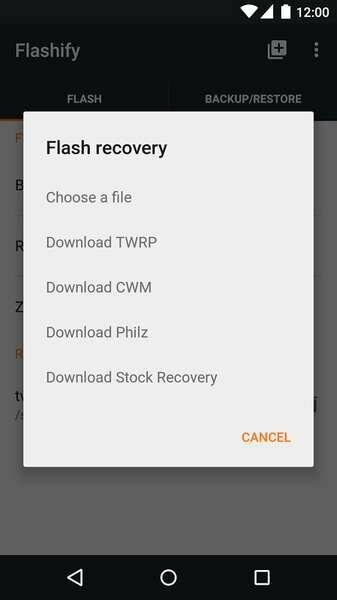 Other features of this app include per-app configurations, temporary unroot, compatibility with recovery, complete unroot etc. It has a free version and another paid version, the latter of which costs $3.49. Either way, it’s necessary for rooted phones if you are conscious about security. Greenify isn’t actually a root-only apps, because it can work fine in non-rooted device as well. However, when you’re using a rooted phone, Greenify can improve battery life of your device, quite dramatically. We had talked of Greenify in our previous post, as a method to improve battery and enable Doze Mode quickly. 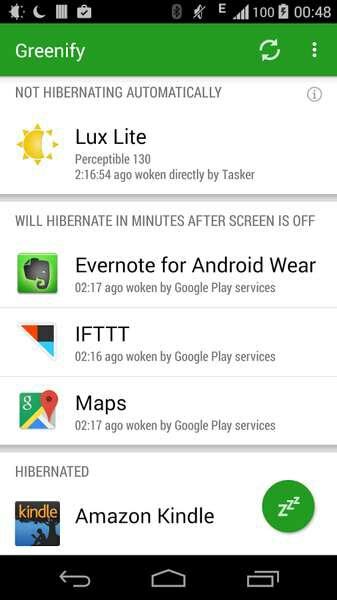 If you use Greenify, it’s possible to put certain apps in the hibernation mode so that the resources will not be wasted; nor is there the loss of battery. Main options of Greenify include Aggressive Doze — which enables Doze Mode of Android more quickly — and the usage analysis of different apps you’ve installed. If you need extra improvement of battery, this is a must-install app. 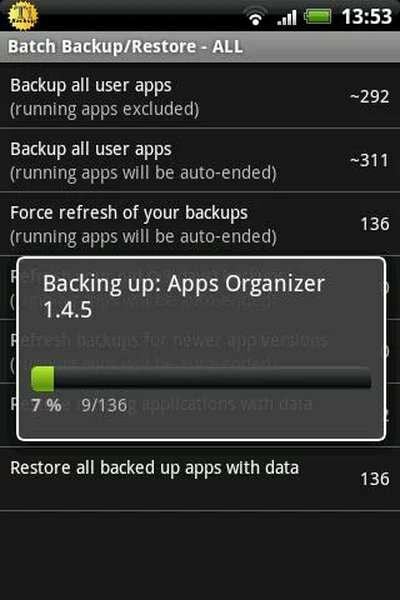 Despite the name, Titanium Backup is an impressive Android app for those who need advanced options. There are a lot of things you can do using this available-for-free app, mainly dealing with the backup. Of course, you will be able to backup your apps, data and other information to another source. Loved by both advanced users and developers, it helps in the management apps as well. 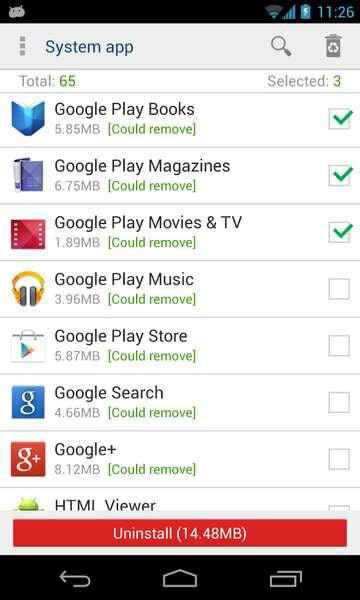 There are options for removing bloatware stuff, freezing apps so that they won’t consume resources etc. Other features in Titanium Backup Pro version include multi-user app data backup, multiple back-ups for apps, sync options with Dropbox and Google Drive etc. If you want to do great things with your Android Smartphone — such as triggering tasks and building shortcuts — it’s a good thing to install Tasker in your device. 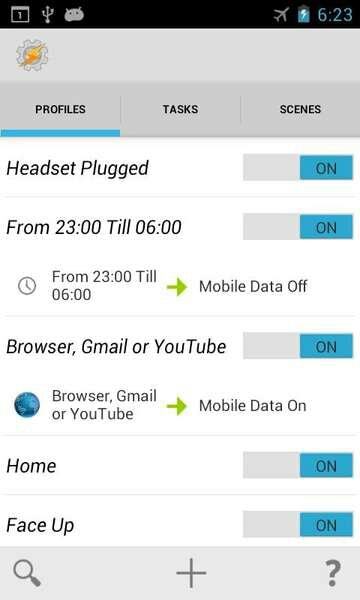 From the option to turn on Bluetooth while you’re on a specific location to another option to show different colour notification lights for different needs. In Tasker, there’s an inventory of more than 200 actions, triggers based on time, app, location, events, timer etc. Also, you can create your own scenes that can be used as screen overlays. For instance, if you want to launch the Music Player when you plug in headset, it is possible using a single action-trigger combo. Tasker is literally your window to productive Android world, but the app is a premium one. One of the major intentions of rooting an Android device is to have in-depth access to your Smartphone settings, as in terms of OS and hardware. However, unless you use a dedicated control app for rooted android phones, it will not be able to get the best option. Device Control is a premium, feature-rich and comprehensive tool for advanced level of control for your device. You can monitor and tweak several sections such as vibration strength, LCD power, CPU frequencies, voltage control, CPU temperature, etc. 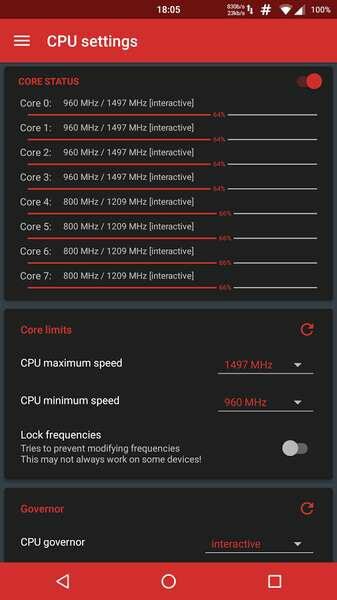 Since the control on CPU is available, Device Control will turn out to be helpful in over-clocking and all. The UI is also simple, letting you choose individual sectors easily. As we had mentioned in the introduction, one of the reasons why most people root their Smartphones is to remove those messy bloatware — which are the system apps that have been loaded into the device. This won’t be applicable if you have flashed a custom ROM in your device. However, if you have just rooted it, System App Remover is a must app for your Android Smartphone. There are several options available, such as system app removal, app transfer and other options such as APK management. The tool can notify you if you are about to remove an app that is essential for the functioning of your Android device. It’s available for free, by the way. You may have used the standard, limited file explorer before you rooted your Smartphone. However, since you have done the rooting, you have more options awaiting you. 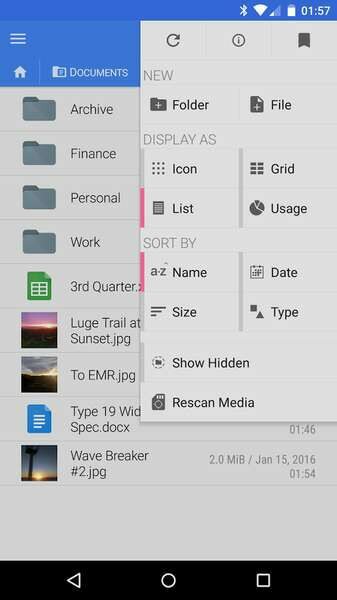 FX File Explorer is one of the best file management apps for rooted Android devices, given that you like to have a simple User Interface. Apart from multi-window management of files and folders, this file explorer tool has some stunning features. For instance, there’s FX Connect, which helps you transfer files using Wi-Fi Direct or NFC. At the same time, Web Access lets you transfer the files in your device via the web browser. The built-in options include text editor, RAR file extractor, image viewer etc. In terms of looks as well, FX File Explorer is impressive. 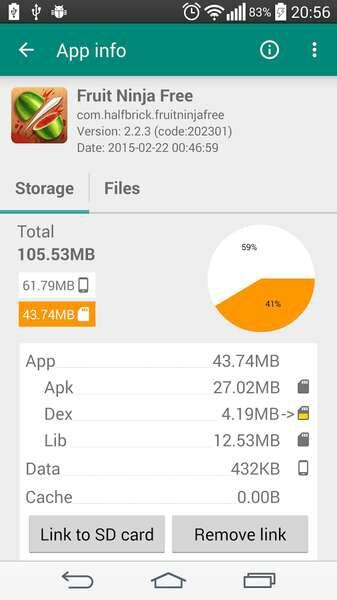 Link2SD is perhaps the most popular root-only app when it comes to transferring your apps into SD Card. Using this, you will be able to transfer almost any app to your SD card and is quite productive when your device does not have a big amount of internal storage. Rather than simply moving the files, Link2SD creates a link from the SD card in such a way that the device finds it as a part of internal storage. When compared to the several so-called App-to-SD apps out there, Link2SD is quite useful. The top features include Force Move, Batch Linking and Unlinking options, Conversion of system apps into user apps and other application management. After all, Link2SD is a free app for your rooted device. Last but not the least, DiskDigger Photo Recovery is one of the most practical apps you can have in your device that’s having root access. As the name says, you will be able to recover the photos you have deleted from the gallery or other parts of device. 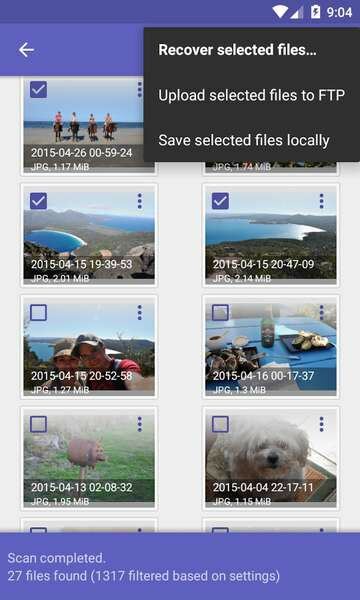 Accidental deletion is a common thing from the standard gallery interface, but DiskDigger Photo Recovery helps you get back your favorite snaps. You can perform a scan with the app and you will be shown the list of recoverable files with the preview. Then, you can have the files recovered into your device. This simple-to-use tool is available for free in Google Play store. It also offers options for uploading the files into Google Drive and Dropbox directly. 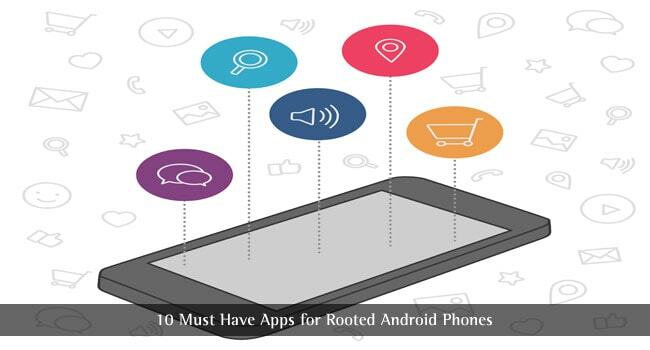 So, we have listed the top ten must have apps for rooted Android phones available. We have included apps from the different categories such as file management, application management, productivity and data recovery. You may not need all these apps at once, but you can certainly pick useful ones. Do you have any recommended apps for rooted Android phones? We are eager to hear from you. FX File Explorer and Link2SD are the two apps which I am using on my newly rooted Android phone. These two apps are very much essential and must have if you have rooted phone. All the other above-mentioned apps are also very useful for different purposes. Thanks for sharing such an awesome list of apps for rooted phones with us. Greenify is a great app for rooted phones and I have personally using it. It can be a good battery saver and all the rooted phone users should use it. I got SuperSU when I first rooted my phone. I had an issue on play store which was solved later easily. As a clash of clan player, I would like to add xmod to the list. 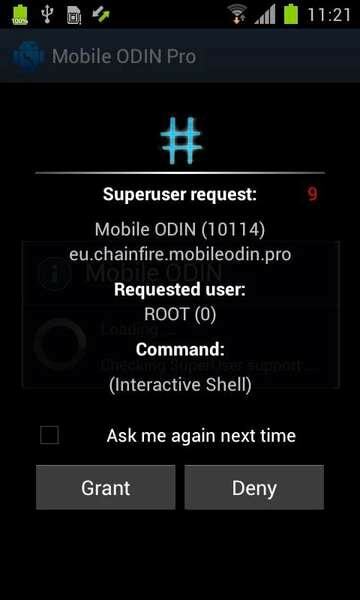 Can I install SuperSU with non-rooted smartphone? No. You’ll not be able to install SuperSU in a non-rooted device. Moreover, there’s no point in installing SuperSU in a non-rooted device. It’s because SuperSU is for the secure management of root access. Great information! But I want to know that, how can I install any apps as a system apps? You told us about the way of removing system app, but didn’t tell us about installing system app. System apps cannot be installed from user-side. They are installed by the manufacturer, during the OS installation. Thanks for publishing this useful information. I am going to install all this rooted app to my phone. Thank you for the Great list. In my opinion these are the must have root apps . There are very few people who provide apps for rooted smartphones, but Abhijith you provide great and helpful apps. I agree, if we have a rooted Smartphone it is possible to use as many apps according to the requirement. But, does this void the warranty of the Smartphone? Is it possible to lock the bootloader again if we unlock it? I’m much worries about that even thought I need some apps to be run on my Smartphone. Unfortunately, those apps requires me to root the mobile. Help could be highly appreciated. Yes, rooting the phone voids warranty unless and until manufacturer specifically mentions it. Thanks Abhijit for sharing the list for rooted android phone. I was facing the problem of rooting every time I install app. Your article solved my problem.